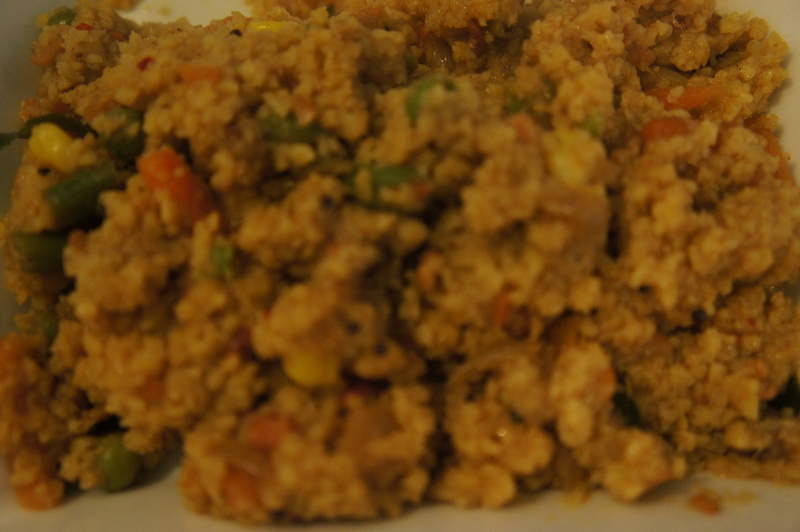 Moroccan flavoured corn cous cous upma | Life's Conundrum - Eat to Live or Live to Eat? Posted on March 10, 2014 by Anna and Shiv	• This entry was posted in Breakfast, Gluten free, Quick meals, Recipes and tagged corn cous cous, corn semolina, cous cous, gluten free, gluten free upma, harissa paste, moroccan, preserved lemons, ras al hanout, Upma. Bookmark the permalink.